Yearbook classifieds for Methuen High yearbooks are listed below. If you want to see if others from Methuen, MA high schools want to make a trade for a yearbook, post your info below. 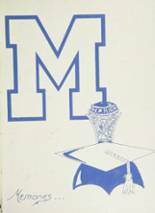 While you are reminiscing about the times you spent in high school at Methuen High School, you should also check out alumni photos, yearbook listings and share any reunion info if possible. My yearbook was lost when I moved across country a year after I graduated. I would love to see a copy of it again. One of my sister's Lost my yearbook. If you have an extra one, or one for sale, please let me know, and for the right price, I'd love to buy it from you. Thanks and have a GREAT day. Sincerely, Susan. Does anyone have a 1975 Yearbook I could purchase? how would i be able to view a year book from either 1970 or 71? Want to buy 1970 yearbook.